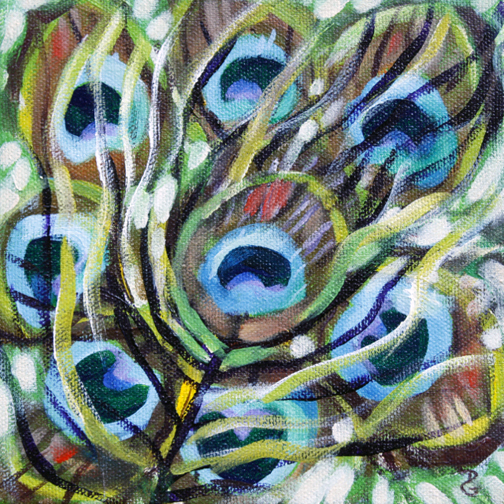 This series of abstract paintings was inspired by a simple peacock feather decorative mask that I found in the gift shop when we visited Leeds Castle in England, ten years earlier! 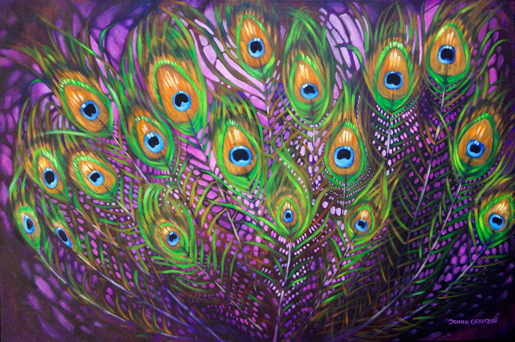 The mask hung in my studio all that time, I knew I would use it as a prop some day. 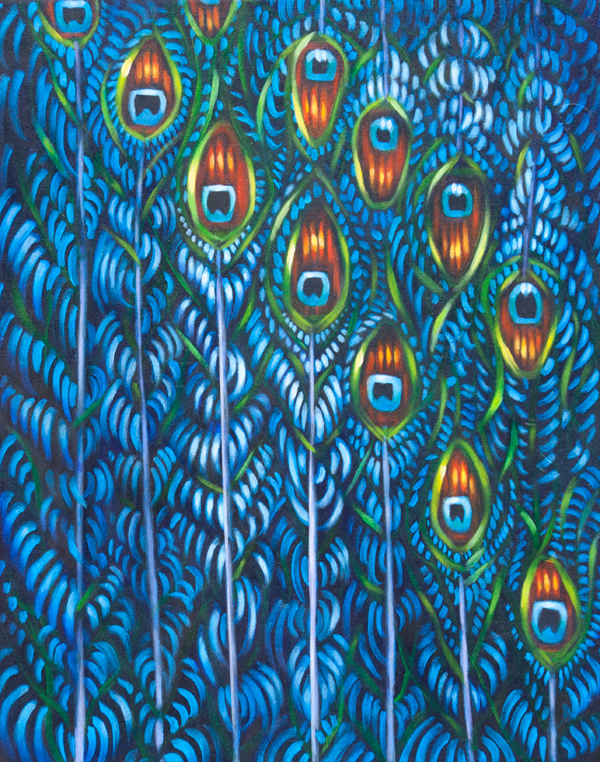 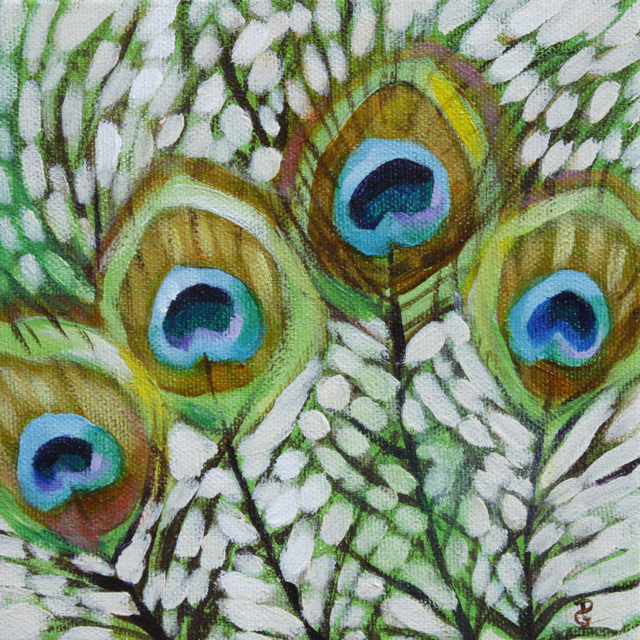 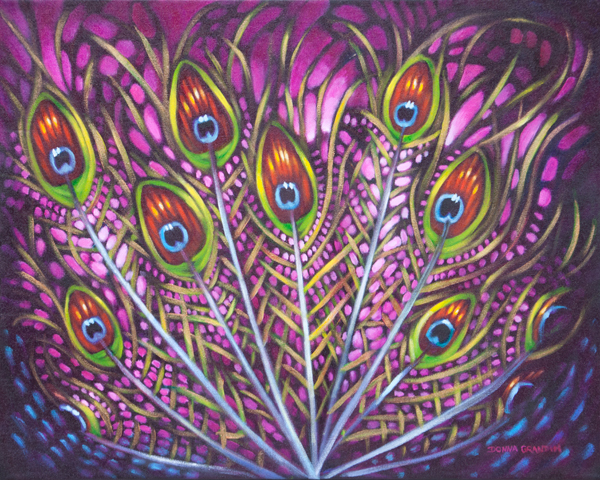 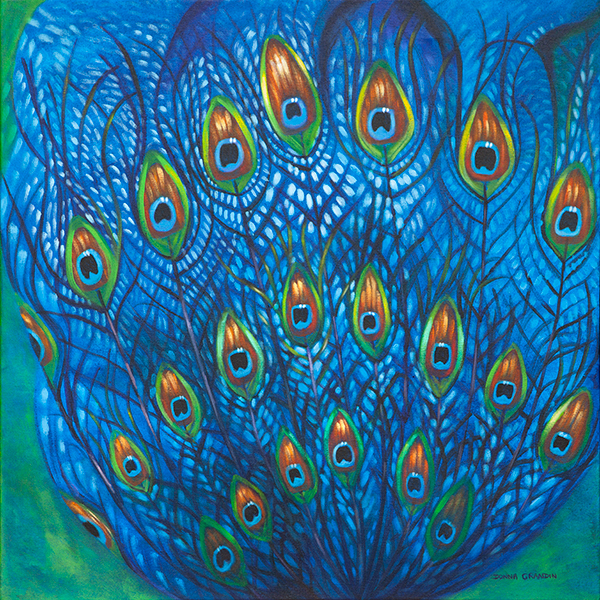 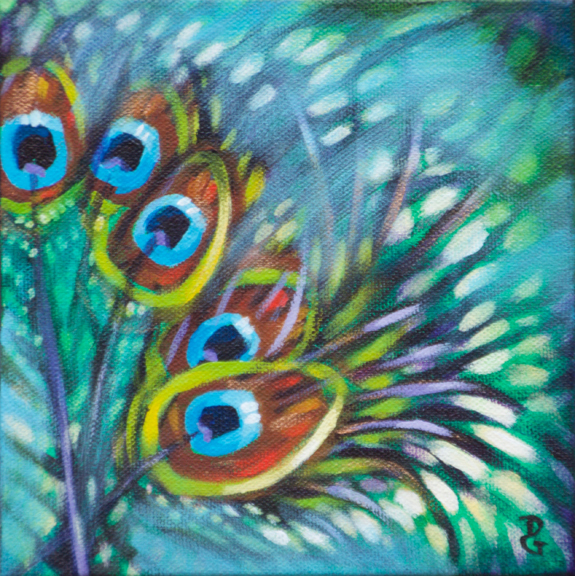 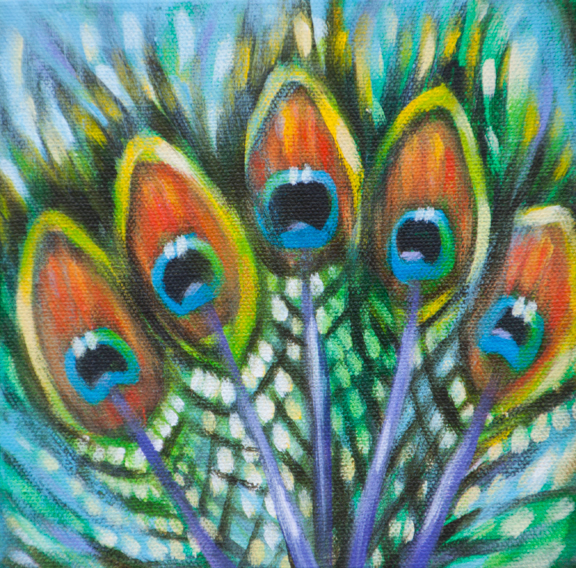 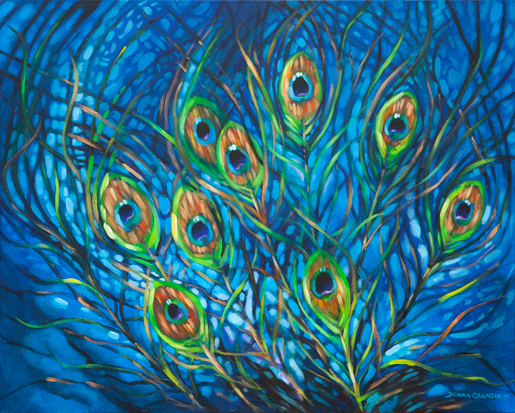 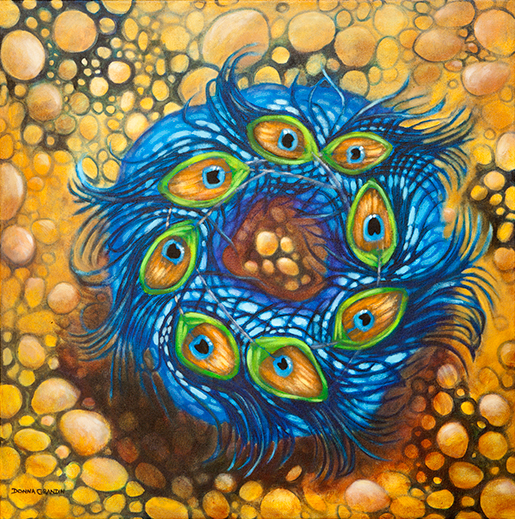 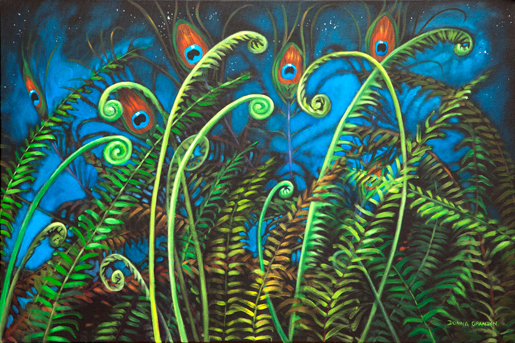 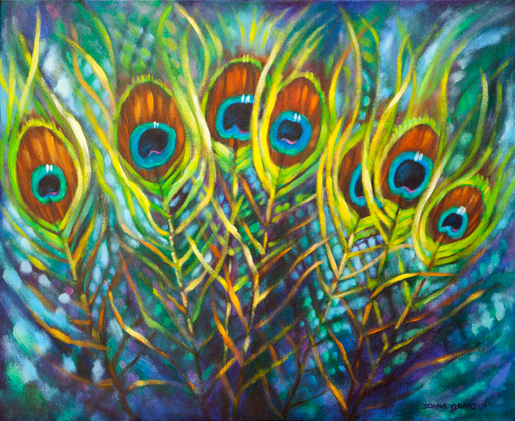 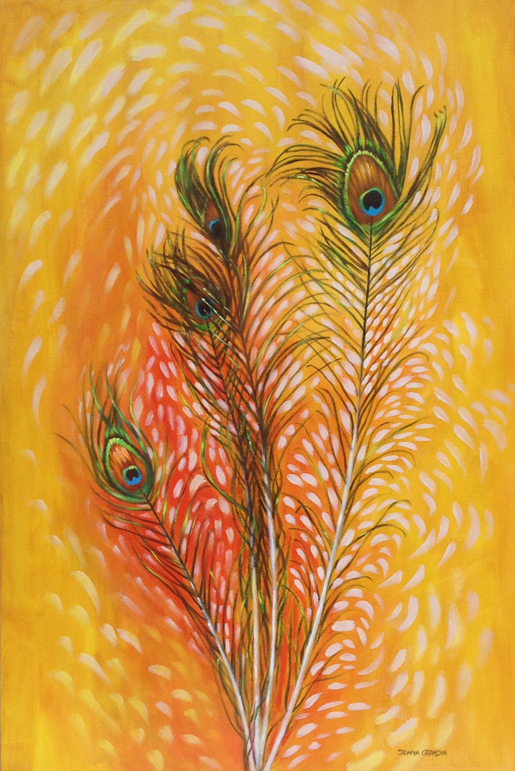 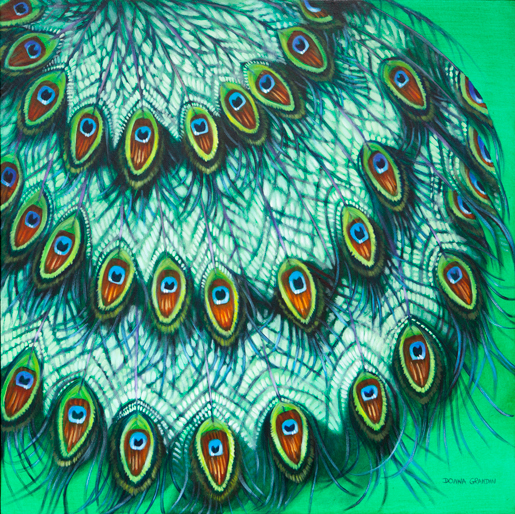 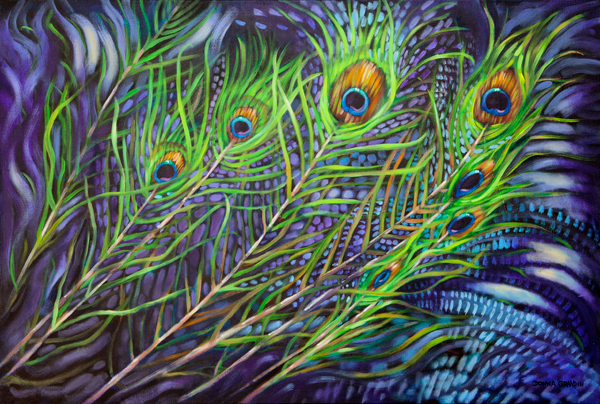 That day came when I was doing the “30 paintings in 30 days” challenge … the first painting was 6″x6″ simply called Peacock Feathers. 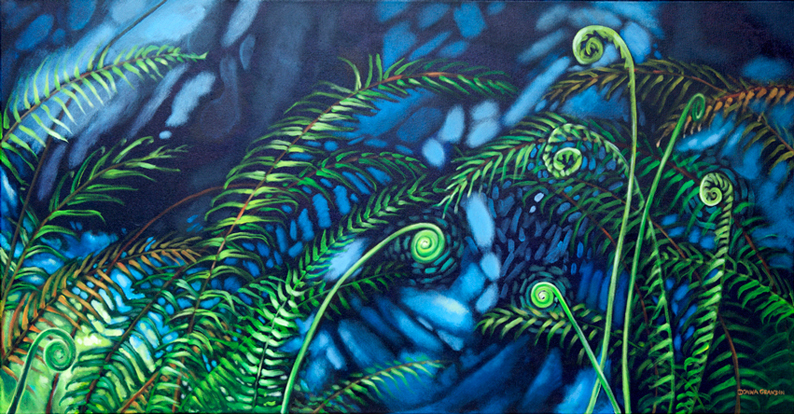 Right away I knew I was onto something, so I painted another, looser version the next day, and an even looser one the day after that. 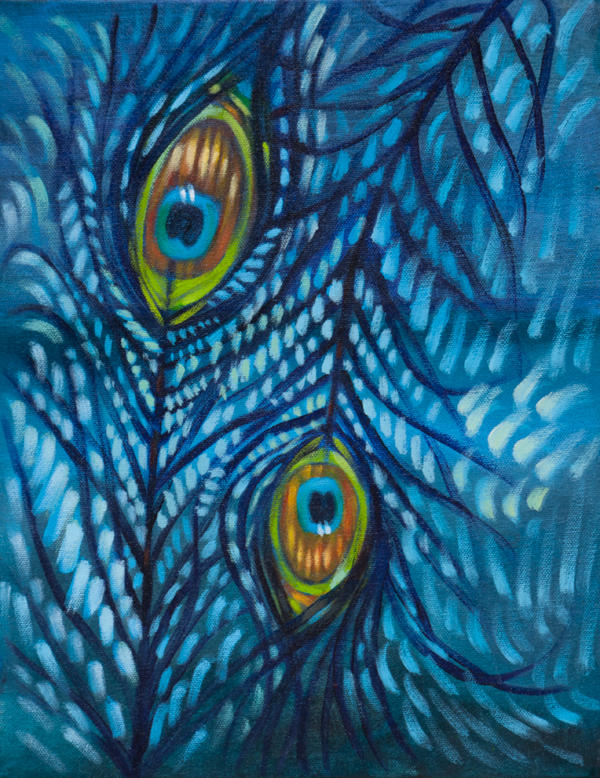 After years of painting realistically, I was happy to have a subject that I could really get lost in … wander around without a road map and make new discoveries. 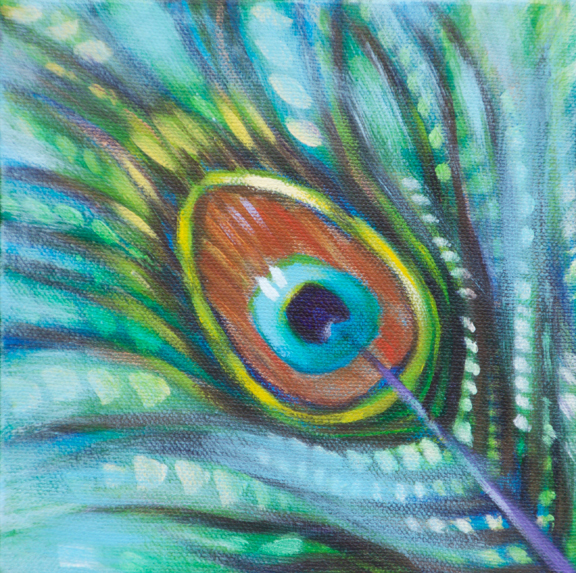 Pretty much the same way we ended up at Leeds Castle that morning, entering through the little wooden gate, to photograph the swans, walking through the maze in the rain and ending up in a wonderful grotto. 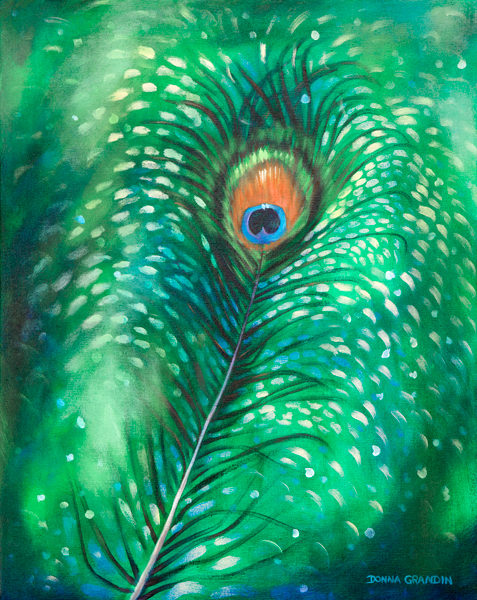 The peacock mask was my souvenir of a very special day, little did I know that it would spark a whole new series of abstract paintings.